We are dividing the list into categories, to make it easier for users to find. The categories include the customization of the interface and applications, the security tips and tips on how you can transfer the data from or to the iPhone and iOS devices, the tips for battery and lost phone tracking, the easy developer options on how you can enter and exit the few developer modes while trying to unlock the iPhone, and a few other tips that can come handy anytime for the users. 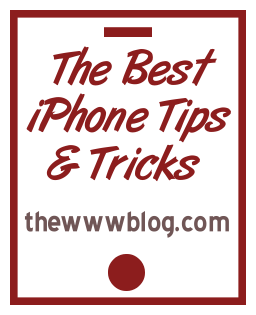 The tip shows you how you can invert the colors on your iPhone or the other iOS devices like the iPad and the iPod touch, just like what we see in the Mac OS, using the keyboard shortcuts. Nothing very hard to do, as it is an accessibility option using which, one would check whether all the screen pixels are working. Maintaining the applications in various folders is what would make things easier for people. Apps for games, networking, entertainment, communication etc. spread around in multiple pages would keep the users searching for them. Managing in folders is easy, and the tutorial explains how to create those folders. Privacy with the applications is sometimes needed, and users would want to hide a few apps from people to check when they are checking the iPhone. The tutorial explains how you can hide any applications in the iPhone. Installing the various themes and interfaces is what makes the iPhone interface more interesting and different in looks. The 2 above tutorials share how you can install the themes of Windows 7 on your iPhone or iOS device. 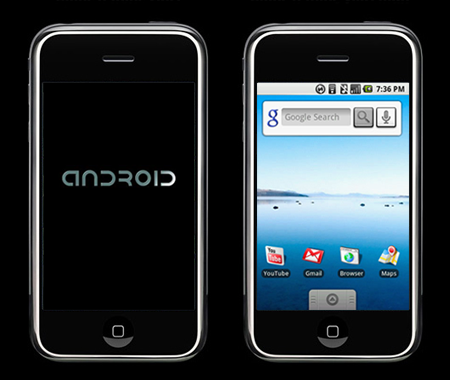 Android is the next best OS in the smartphone market right now, and the iOS users would never feel sad if they see the Android being ported into their iPhone, but as that is not practically possible we have showed tutorials on how you can have an interface that at least match the OS that we see in the Android phones. While you are downloading the app on the iPhone, if at all, you want to stop the downloading app or the one that is installing, you can do that. It is quite a very simple and easy few-step process, and you don’t need to wait for the app to download and install completely. You are traveling and the iPhone is on low battery, and you are unsure of when the phone would switch off. There are a few options in the iPhone, setting up which you can save the iPhone from getting switched off even when it is on low battery. Capturing normal photographs from the iPhone camera is very easy, and no much options are available with it. There are a few apps that would make the imaging better, and just like the Samsung Android phones, you can capture Panoramic photographs in the iPhone too using the trick. When you are shifting to an iPhone from your old Android or Blackberry phone, you would want all the personal data to be transferred to the new phone. In the tutorial, you would see the ways on how you can transfer the data from the Android and Blackberry devices to the Apple iPhone. Transferring data from an iPhone to the other is not that easy as one thinks, because there is no direct wireless option for that. But there are ways on the computer, using which you can transfer the data from your old version of iPhone to the new iPhone 4. Simple tip but worth it. Whenever you cut or delete or paste the text that you are typing, you can undo that with the simple trick shared in the article. Voice Control app in the iPhone that comes handy in various functions like making calls, managing media and playing them etc. The tutorial explains how you can make the full use of the Voice Control app in your iPhone and iOS device. Evernote is a note taking app for the iPhone and various other devices and even for computers and the web. Whenever you take down notes in the Evernote app in your iPhone, transferring or syncing needed an active internet connection. But using this trick, you could transfer the same data to the computer without having to be connected to the internet. 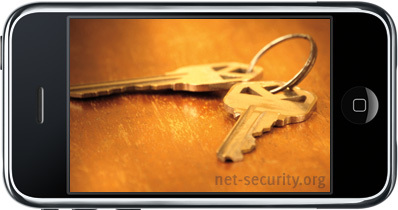 The tutorial shares on how you can keep your personal information on the iPhone safe from being used for wrong purpose by other. The tutorial explains how one can backup the SMS messages they have in the inbox. People usually backup the stuff before they try upgrading the OS version or do some developer stuff, so this guide would come handy if they don’t want to lose their SMSes. Whenever you backup and iPhone, the data is open for normal usage and anyone else can restore their phone using your backup so they get your personal information. The tutorial explains how you can encrypt the backup and make it password protected, so that only you can use the backup for restoring. There are many ways one can try to track their stolen iPhone but we haven’t tried all of them. One of them that actually works for the iPhone users, is what we share in the above linked tutorial. Recovery Mode is one of the modes in the iPhone where the phone can be used to do some stuff like jailbreaking etc. The tutorial explains how you can enter or exit the recovery mode in your iPhone. How to Enter DFU Mode in iPhone? DFU is the Device Firmware Update mode in the iPhone and other iOS devices. It is a mode that the devices need to enter while updating the phone. In the tutorial we explain how one can enter the DFU mode in the iPhone for the update process. Jailbreaking is one of the best methods to make your iPhone more customizable and with that, several apps can be installed which are not seen on the App store. But most of the users don’t like jailbroken devices, as Apple too doesn’t like it. 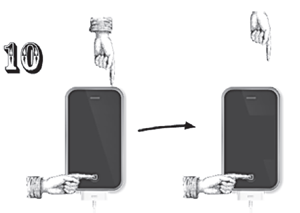 The tutorial explains how you can remove the jailbreak from the iPhone or the other iOS devices. Automation helps a lot when you are busy and can’t do the stuff like SMS’ing, calling etc. The above 2 tutorials show you how you can auto reply to the SMS you receive, or auto answer any calls when you are busy. Sending SMS messages in a group, i.e. to a group of people is normally helpful when you want to pass a message to many friends of yours. Sending individual messages, copying and pasting the same stuff again and again wastes the time too. So, the tutorial explains how you can send a group SMS from your iPhone. iPhone has ringtones section with files with a specific file format which acts as the ringtones. But using the tutorial we shared, you can have your songs or mp3 files as ringtones in your iPhone. For those who still want to have something set permanently by making a ringtone from the file you want, its better to use the iTunes and create the ringtones by setting the time and creating the iPhone ringtone version of the same file. Very useful tips! Thanks admin!